It’s always concerning when your pet suddenly becomes poorly, whether it’s coming home with a limp or a sudden onset of bowel problems- and cat constipation is up there as one of the most common problems. Indeed, constipation in cats is not only an illness in itself but a symptom of a myriad of issues, all of which we discuss in more detail in our buying guide. Luckily, the majority of the time, the reasons for constipation in cats can be as simple as providing multiple access points for fresh water, or even changing to a specialist cat food for constipation. With this being such a huge problem for many owners, we’ve taken the time to find you the best options for handling cat constipation, when it comes to their diet and have answered some of your most common queries and concerns about cat bowel movements, below. With real meat as the first ingredient and NO by-product meals, artificial preservatives, corn, wheat or soy, this is the closest kibble your cat will ever get to raw feeding, without the cost or problems that come with feeding your cat raw food. As such, this is the best cat food for constipation, thanks to the high-quality ingredients and appropriate digestible food which allows for a smooth flow of food, through the digestive tract. 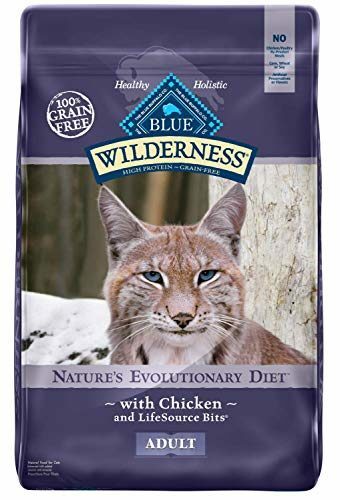 There are some huge benefits to using Blue Buffalo’s Wilderness for cats, since the added vitamins and minerals not only help with digestion, but also assist your cat to be as happy and as healthy as is possible. Being so full of nutrients that it’s even possible that you’ll need to feed your cat less often, since all of their nutritional requirements are fully met with this brand. Customers also agree, with over a thousand positive reviews on Amazon alone, many of whom mention that they originally switched to this kibble as their cats were suffering from constipation- and how they’ve seen huge improvements in their bowel movements since making the change. 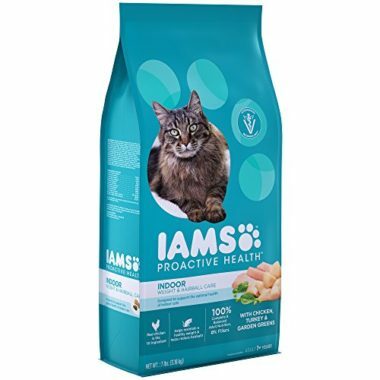 Ideal for indoor-only cats who suffer with constipation, this Proactive dry cat food from Iams is a great option for cats who are prone to weight gain or have a habit of over-grooming themselves. The strong focus on fiber makes this an ideal option for older cats, or cats who suffer from long-term health conditions, as they are more likely to have smoother bowel movements with Iams Proactive cat food. This is also a highly-rated product, with many customers mentioning that their cats love the smell and flavor of this kibble. In particular, cats seem less likely to grow “bored” of this brand, which all cat-owners will know can be a real pain, when you find a brand that actually works. 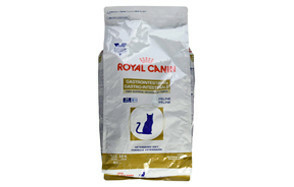 Overall, this is the best cat food for indoor cats who suffer with constipation. 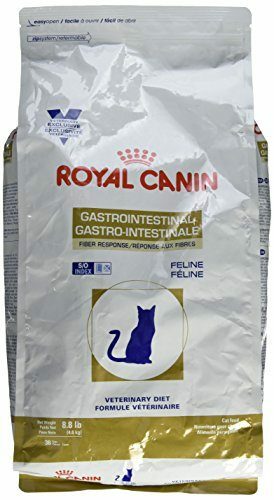 Royal Canin have created this great dry cat food with added probiotics to take care of your cat’s entire digestive tract. Being able to meet all of your cat’s supplement needs while combining great cat food means that the slightly higher cost of the Veterinary Diet kibble can help outweigh the added expense of using pre-and-pro-biotics as well as your standard dry cat food. Then, there are the added oligosaccharides, which help improve intestinal health by assisting in breaking down more complex carbs. This means that your cat is more likely to fully digest every ingredient in this kibble, making it a great alternative to raw feeding. This is a great option for short-term problems with constipation, such as following an operation or trauma, as the cost might be a little too high for regular use. If you prefer to feed your cat a wet food diet, you’ll be pleased to know that Ziwi’s grain-free cat food is the best canned cat food for constipation. 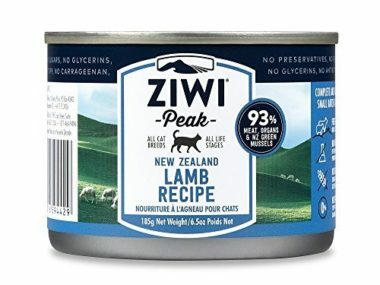 This is a company that is very proud of the fact there are no added ingredients beyond free-range, grass-fed lamb and New Zealand Green Mussels, which makes this a great option for those who want to feed their cat a raw diet but can’t dedicate the time and cost of providing fresh meat at every meal. It can take a while for your cat to adjust to this food if they’re used to kibble, so be sure to take your time while transferring your cat onto this canned option but, once they’ve made it, we’re sure they’ll love it as much as the many happy customers do. Hills cat food for constipation works by eliminating some of the most common causes of constipation, including hairballs and urinary issues. With no artificial colors, flavors or preservatives, but a healthy dose of Vitamins C and E, alongside natural fiber, this is a great naturally-sourced option for relieving cats who are prone to bouts of constipation. 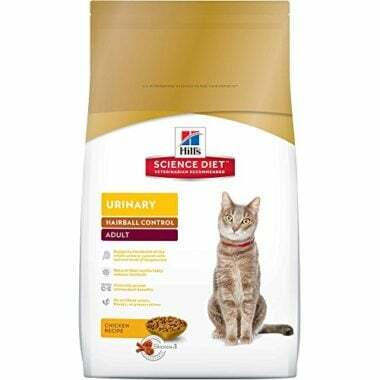 As always, with Hill’s Science Diet, these ingredients are picked by vets and pet dieticians, for their ability to help clear minor issues with the digestive and urinary tract, which makes it ideal for older cats and cats who have regular issues. In fact, Hill’s are so confident about their ability to endear themselves to both you and your cat that they’re offering a money-back guarantee if you’re unsatisfied for any reason. Instinct care a great deal about what goes in to their recipes and, as such, you’re literally able to see what goes into each bowl. In particular, with this canned cat food, you’ll notice carrots, spinach and cranberries, all of which contribute beautifully to a healthy digestive system. There is also no grain, potato, corn, wheat, soy, by-product meal, artificial colors or preservatives. This is a canned wet cat food that is ideal for indoor cats and comes with a great price, which is perfect if you’re dealing with vet bills from a constipated cat. 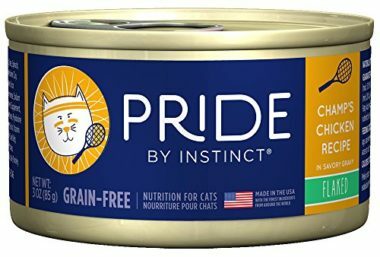 You’ll also notice that the Pride canned cat food is also made in the US, which means you can rest assured every tin is made to high standards and the guaranteed analysis is accurate. Another canned cat food option from Wellness, with the main difference here being that the food is given in a pâté format. This increased ratio of meat to hydration means that this is one of the closest forms you can get to raw-feeding as you can get. 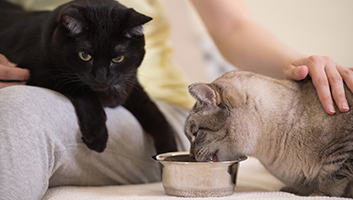 Naturally, however, this also means that the lack of hydration in the can requires you to ensure that your cat is also having enough fresh water with their meals, so don’t forget to pop out a fresh bowl at mealtime. This is a great, simply recipe, which includes 65% protein ingredients, as well as added vitamins and minerals to help with everything from digestion to a healthy coat- and a healthy coat means less furballs! Even better, there no wheat, meat by-products, or artificial colors, flavors or preservatives in this canned cat food, so it’s great for sensitive stomachs. 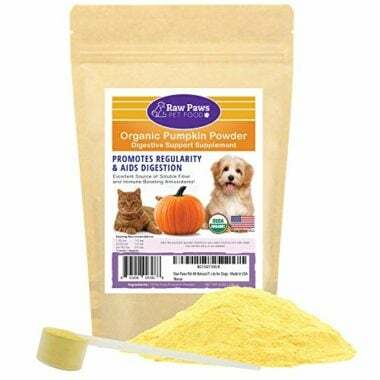 While this isn’t a complete food source in itself, the Organic Pure Pumpkin for cats and dogs from Raw Paws is a great supplement for cats who struggle from time-to-time with constipation, or who are recovering from illness or trauma. This is 100% pure, organically-grown pumpkin powder that is grown and manufactured in the US. Simply add this over your cat’s food or mix with a little water to help relieve your kitten from bouts of constipation or diarrhea. You can use this as often or as little as you like and Raw Paws is so confident that you and your pets will love this, that they’ve even offered a money-back guarantee if you aren’t satisfied. Proudly grown, harvested, air-dried and packaged in the USA. 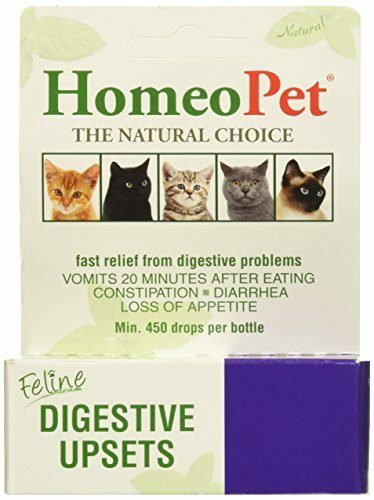 Another option that works as a supplement, HomeoPet’s Digestive Upsets are a liquid-form addition to food or water that helps to ease digestive complaints in cats and dogs. They are so gentle that they can even be placed directly on the tongue, if your pet is unlikely to eat something that doesn’t have a smell they recognise. Made in the US, you simply add a few drops, three times a day, whenever any issues crop up. Reviews mention how quickly these Digestive Upsets got to work and how well their pets looked and felt, not long after taking these. 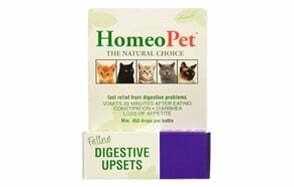 In particular, cats with sensitive stomachs, or those who seemed to vomit a lot but couldn’t find the source with their vet, found that these worked brilliantly at calming their cat’s stomachs and helped to alleviate symptoms or gastro-intestinal discomfort. Just be sure to talk to your vet before using these, to ensure that you aren’t covering up any symptoms and allowing the root of the problem to continue, unnoticed. 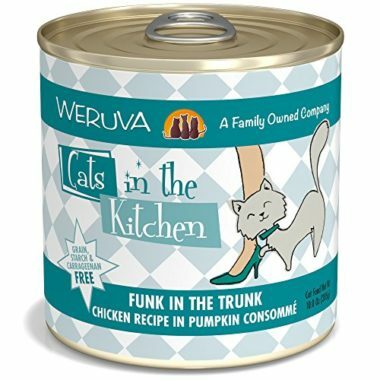 Cats in the Kitchen by Weruva is another great option for those who want to get as close to a raw diet as possible, without the hassle of feeding fresh, raw food, multiple times a day. These cans are made with fresh ingredients, with added vitamins and minerals but no nasty stuff. 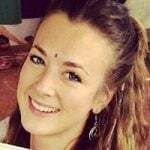 They’re also manufactured in an environment that has even been deemed suitable for human food production, so you know that there has been a lot of time and effort going into each recipe. It also helps that the majority of this can is moisture- with up to 87% of each can being such. 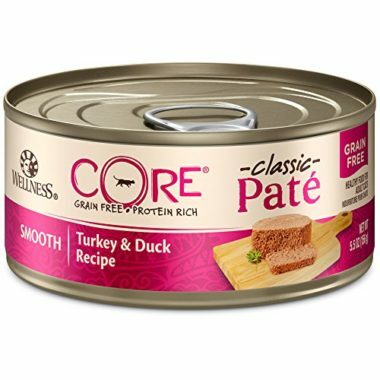 This makes it great for cats who need a lot of hydration but, for the value-for-money, we had to pop it a little further down the list than it would have been, had the protein content been a little higher. While constipation can generally be eased at home, if you notice considerable changes or notice changes for longer than a day or two, then try to get booked in with a vet, immediately. Usually from hairballs or other foreign materials. This is particularly likely if you’ve noticed your cat grooming more frequently then usual. This usually happens because of stress but can also be linked to something as simple as a change in litter or a full/dirty box. They may also refuse to the use the litter tray if they are struggling with their joints, which discuss in more detail, below. In order to keep food flowing freely through your cat’s system, they need to exercise regularly. Regular exercise also, usually, increases the thirst reflex which will encourage your cat to drink more water, which also helps with constipation. Speaking of getting enough water, the main cause of constipation links to dehydration. This can sometimes be due to kidney disease, as cats are normally able to easily filter water through their systems and hydrate themselves, easily. If you’ve noticed your cat drinking more frequently, or urinating more often but notice that they’re still constipated, ask your vet to check their kidneys. If your cat has recently been in an accident or if they suffer from a long-term condition which can cause nerve damage, it could be that they are unable to poop. They could also be unsure of when they actually need to defecate and simply not know when to go, which is why it’s important that you also check where they’re defecating, as well as when they’re defecating. Arthritis causes problems with joints, making it painful to squat. Therefore, it’s likely that an older cat may be trying to put off going to the toilet, in order to avoid this pain. Unfortunately, this causes the feces to dry and become more painful to move, which then creates more issues for your cat, as they will no longer want to use the litter tray or defecate at all. Believed to be caused by issues with the contraction muscles along the colon, Megacolon can become worse over time as the inability to defecate causes the passage to widen and damage the muscles along the colon. Thus, it is important to see a vet as soon as possible, if you notice your cat’s constipation lasts for more than a few days. In some cases, constipation is caused by a blockage or issue that stems from tumors in, or around, the digestive tract. These may or may not come with secondary signs and symptoms, so do tell your vet if you notice anything else alongside their constipation. Like our human treatments, many medications, including anesthetics, can cause your cat to become constipated or have other issues with their bowel movements. The good news is that this can be easily rectified by your vet, as they’ll prescribe a different medicine which is less likely to have this side effect. It’s important to remember that constipation is not just an illness in itself but also qualifies as a symptom for much larger problems. So, if you’re concerned about your cat or they’re not improving with low residue cat food, regular exercise and plenty of water, you should definitely make an appointment with your local vet. The dietary requirements of each cat will inevitably be different, depending on the cause of the constipation. However, overall the best foods for constipation are low residue cat food that tends to be higher in protein, as well as high fiber cat food for constipation which has been created with the goal of treating your cat’s bowel problems. You can also add cat supplements which help to ease constipation, such as pumpkin or multivitamins. They may also prescribe medications by their vet which can include laxatives or stool softeners. If the issue is caused by a particular illness, it’s likely that your cat may also need to take these tablets alongside other treatment. The most important dietary factor for cats who suffer with constipation is to always ensure there is plenty of fresh water left out for your kitten. Dehydration is the main cause of constipation and so having plenty of water around can make a huge difference and avoid your cat becoming constipated, as well as being a huge help in flushing out harmful toxins. Q: Does raw feeding cause constipation? A: Raw feeding doesn’t necessarily cause constipation. In fact, because raw feeding is more likely to wholly fulfill all of your cat’s nutritional requirements, it’s more likely that your cat will simply need to defecate less often than those on kibble. This is simply due to the fact there is less waste required to dispose of by the body, when your cat’s nutritional needs are matched more closely. They’re also more likely to have firmer stools and the smell of those stools will be much more muted than the stools of cats who are on a kibble or wet food diet. Unfortunately, having a distinct lack of digestible matter can, in fact, also lead to constipation. Yup, sometimes it feels like you can’t do right for doing wrong! In order to avoid this, it might be worth your cat taking supplements to help ease the matter along the digestive tract. This can help fill in the blanks of your cat’s nutritional intake and essentially give your cat some extra substance, which will help things move along more smoothly. Q: How many days can a cat go without pooping? Really, this depends on what is normal for your cat, what food they’re on and how they’re feeling. However, the general rule of thumb is that, if your cat hasn’t defecated in over 48 hours, it’s likely that they’re constipated. This might be a little longer if they’re on a raw diet and less if they’re on kibble or wet food. The main things to look out for, alongside constipation, is any signs that your cat is in distress. For example, if your cat is struggling with defecating but still seem to be trying and straining, then this rule of thumb can go out the window completely, as the evidence of their constipation is in front of you. You should also watch out for vomiting, lethargy or lack of appetite, all of which signify something is wrong with their digestive tract. If this is the case, then you should call your vet for an appointment as soon as possible. Q: Can cats die from constipation? If left untreated, constipation can eventually lead to Obstipation. This is where there is a complete blockage along the digestive tract, which causes a tremendous strain in the internal organs of your cat- especially if they are still eating as normal. If the blockage of feces is not manually removed at this point, you cat could, unfortunately and heart-breakingly, pass away. This is why it is so important to see your vet as soon as you notice symptoms. The main three symptoms you need to watch for, as they can signify serious problems, is vomiting, lethargy and lack of appetite. 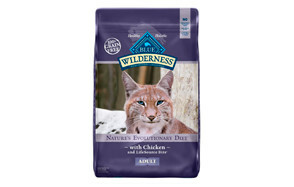 Being a fantastic alternative to raw-fed diets, Blue Buffalo have created a great-tasting kibble for cats with their Wilderness range. Packed with everything your cat could possibly want, this is a great option for cats with sensitive stomachs as there are no added nasty bits. Not only that, but this is a great option for cats of all ages, including elderly cats who are more likely to suffer with bowel problems. You can also mix this kibble with a little warm water, which can help with cats who aren’t too keen on drinking as they eat. Again, this will help hydrate your cat and help keep constipation and it’s nasty effects away from your cat!